In The Wild Dog Collar. 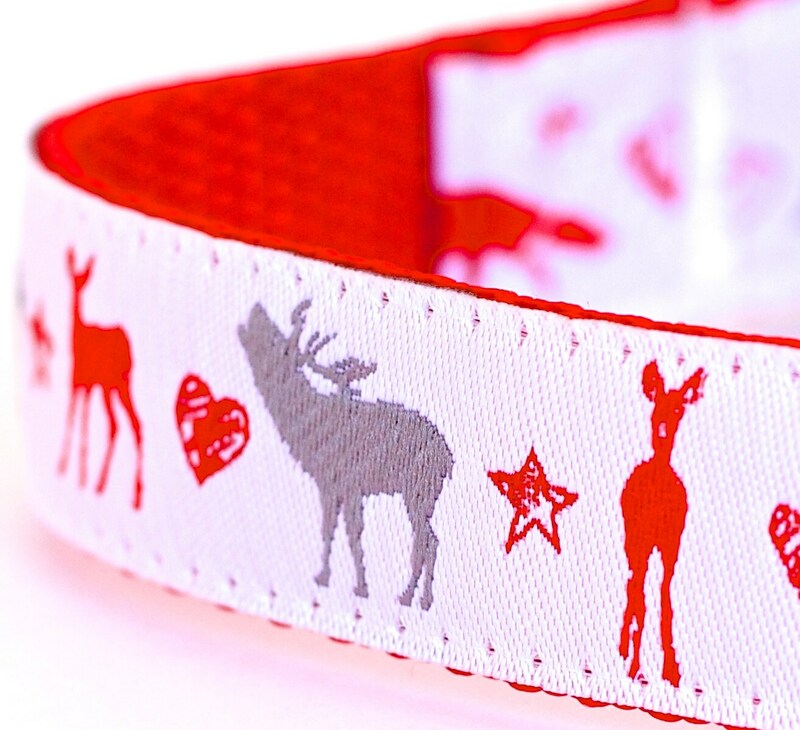 Beautiful ribbon with Moose, Wolves, Deer and more with hearts and stars. 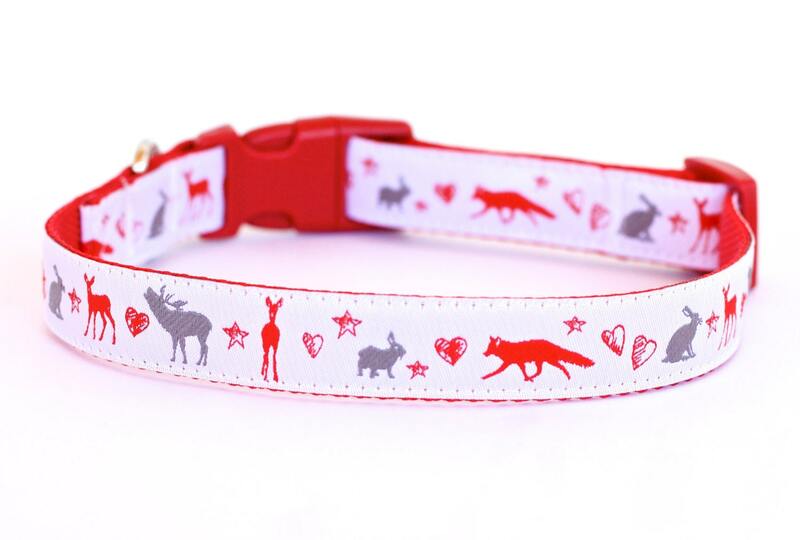 This German ribbon has a white background and is placed on red heavyweight webbing. *Production time is 7 to 10 days. 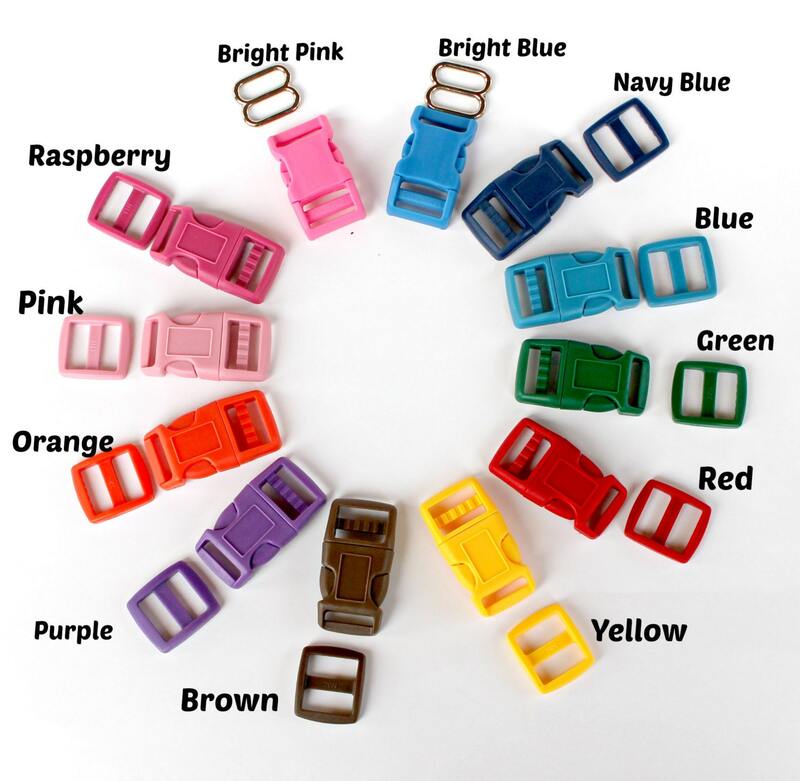 *Colors may vary per your computer and brightness settings. 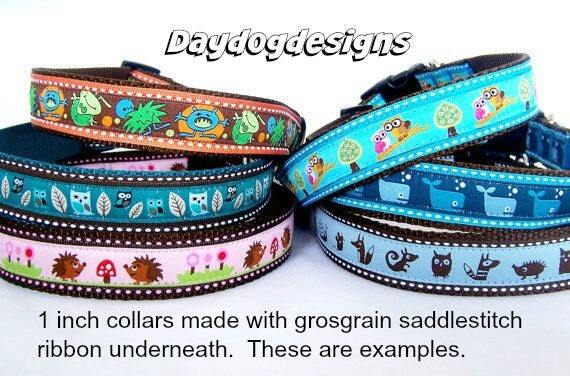 *1 inch collars will have red grosgrain ribbon layered as in last picture. 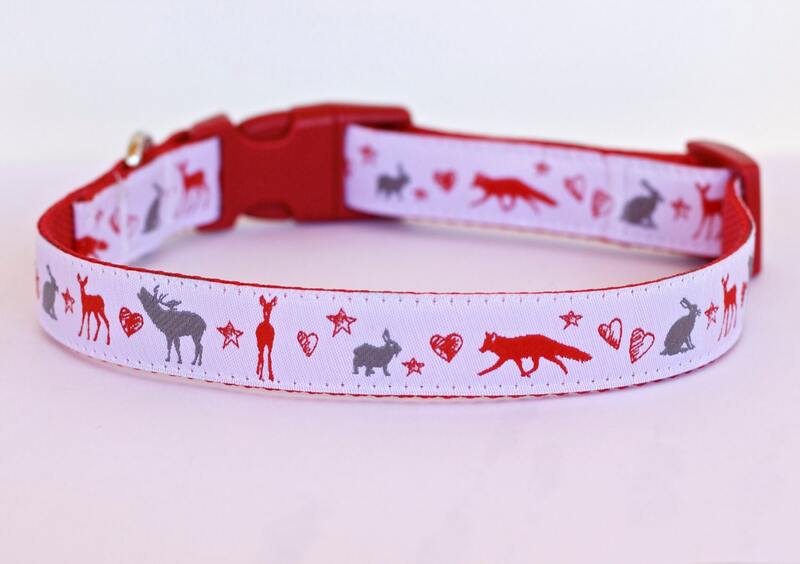 I love this collar and it looks amazing on my red dobie!! Will return to this shop again for sure! Excellent! Really great quality and it looks like it does in the picture. It fits well on my dog and it's good, solid and sturdy material. Very happy with my purchase and it arrived in time for Christmas! Thank you Terri! We love the collar and it arrived by Christmas! Happy holidays to you!